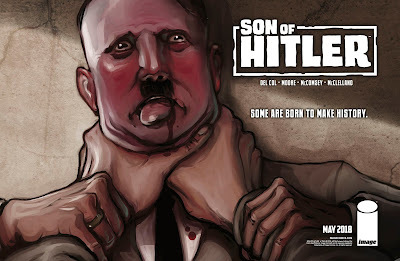 I just finished lettering a new original graphic novel, "Son of Hitler", that will be published in late May/early June from Image Comics. This is my first published work of any sort through Image! Before we step any closer, let's address the title, which is of course a bit provocative, and the content. 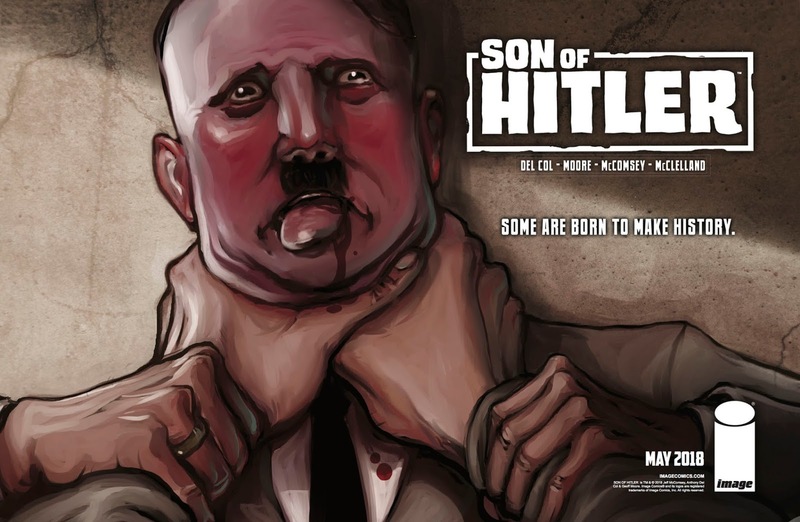 The phrase "Son of Hitler" dredges up a lot of uncomfortable imagery, but the book is a spy thriller set in World War II and features a plot to kill Adolf Hitler. I'm sure the book title will raise some eyebrows, and understandably so, but let's put this story firmly in the category of "anti-Nazi" before we go any further. 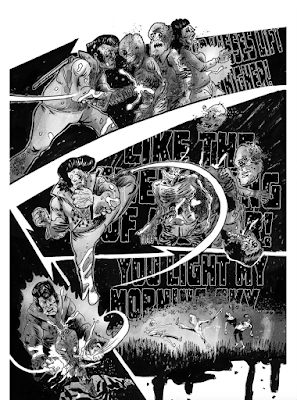 The story is written by Anthony Del Col and Geoff Moore, and drawn by my pal Jeff McComsey. I've done a little bit of work for Anthony before, but I got involved with this project after Jeff asked me to add some lettering to it. 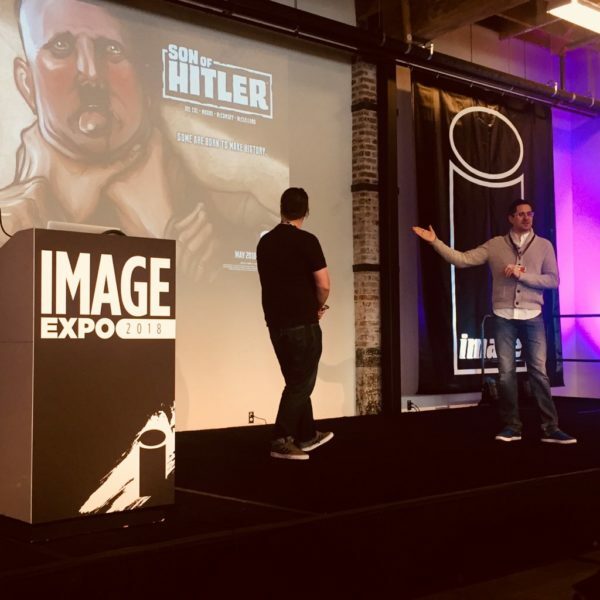 Jeff and Anthony appeared at the Image Comics Expo a few weeks ago to talk about the book. Image even ran a feature of it last month in their "Image+" magazine. The issue includes a few different pieces on the book, starting with an interview with Anthony about his work and his previous career in the music industry. And there's a nice spread with quotes from both Anthony and Jeff, followed by a short preview of the book, all of which has my lettering work on display, which is pretty neat. The book clocks in at nearly 200 pages, so this was easily the largest single story that I've lettered. There were some sleepless nights as deadlines drew a bit closer, but I'm happy with the end result and I'll be looking forward to seeing the book in print. Other than Anthony, everyone involved with the book had some iteration of the name "Jeff" - McComsey, me, (Geoff) Moore, and even one of the editors at Image who worked the title. Once I started lettering, Anthony sent me a message asking if I had a nickname or anything he could use to differentiate, other than my 10-letter last name. I guess I had to disappoint him, because nothing springs to mind, but I guess I'm open to suggestion. This book will show up in comic shops soon! I hope you check it out! There's a new volume of FUBAR coming your way soon! 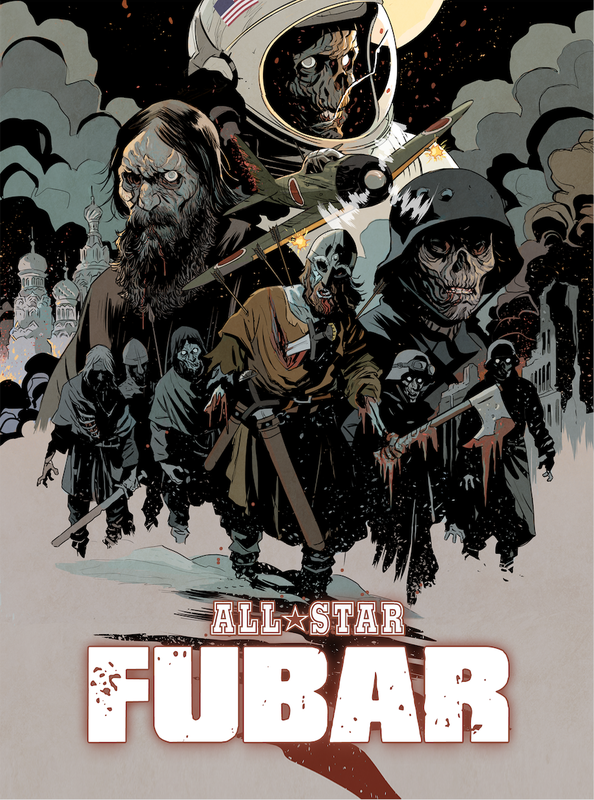 All Star FUBAR is scheduled to arrive in comic shops around the end of the month. Did you know this series made it on the New York Times bestsellers list? Have I mentioned that before? I will bring it up until I die, I imagine. 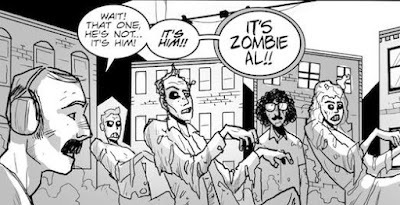 Until I die and come back as a terrifying zombie, still talking about that NY Times mention. 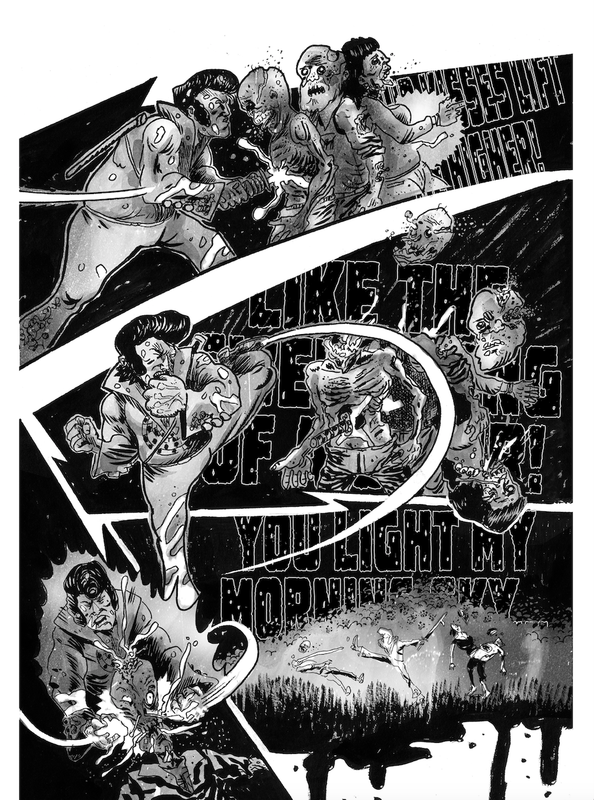 This new volume features a knockout cover by Matt Smith, as you can see above. I'm happy to once again be the story editor on this 200-page collection. 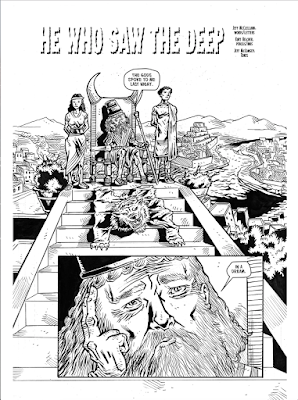 In addition to lettering a handful of the stories in this book, I got to write one about Gilgamesh, which is the oldest known surviving story on the planet. The original story has threads in it about the search for life after death, so it wasn't too much of a stretch to add a little horror to the concept. 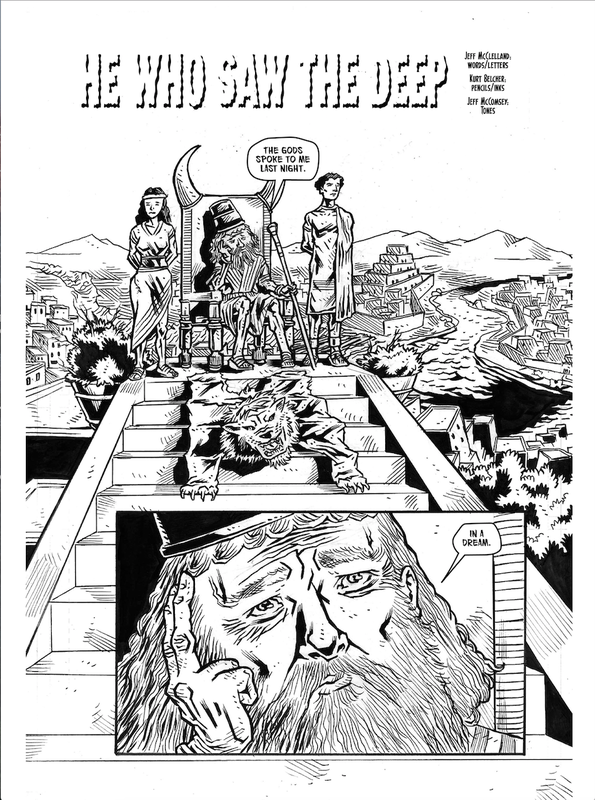 This story has some art from Kurt Belcher. 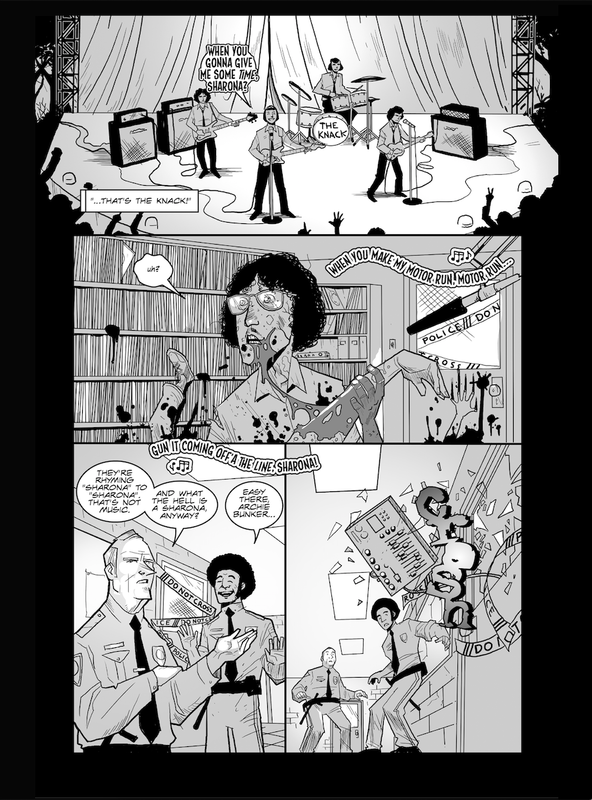 The volume also publishes a few stories that haven't been collected before, including one of my favorites, "Takin' Care of Business", with art by Rob Croonenborghs. 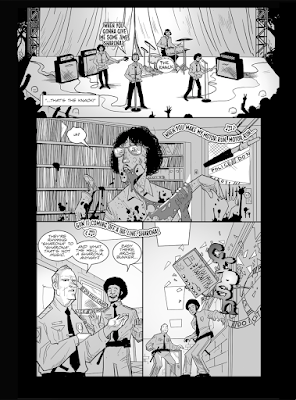 It also collects, for the first time, "Eat It", my "Weird Al" Yankovic tribute, with art by Jim McMunn and Jeff McComsey.